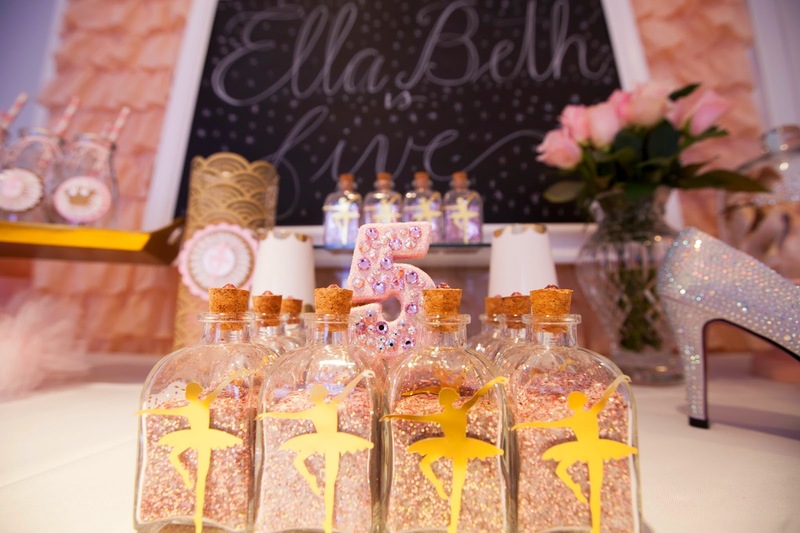 A classic ballerina party with a twist! 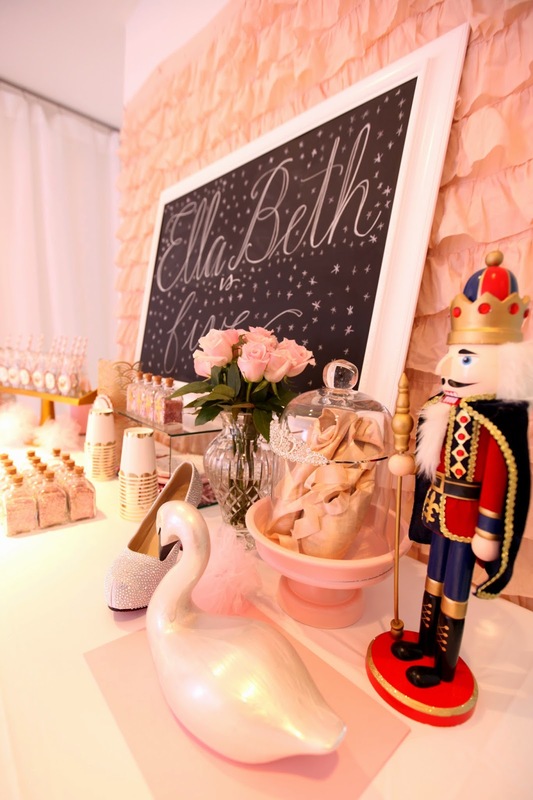 The inspiration for this party came from the Ella Bella Ballerina book series. When the client brought these books to us, we honestly had never even read them ourselves. We purchased the books, read through them with our own children and fell in love with them instantly. 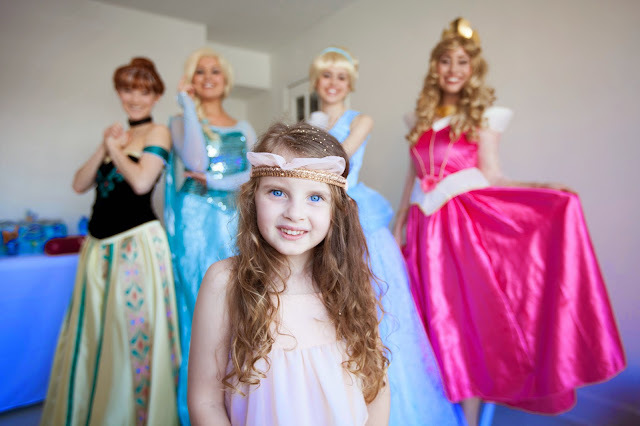 Author James Mayhew does a fantastic job at capturing your children's (and your own!) interest in these magical tales! 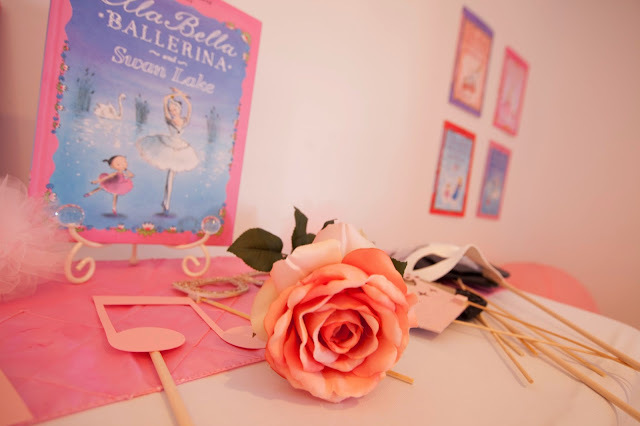 If you haven't read them, Ella Bella is a ballet student. After class she plays her teacher's music box and is magically transformed into the popular dance the class is learning. 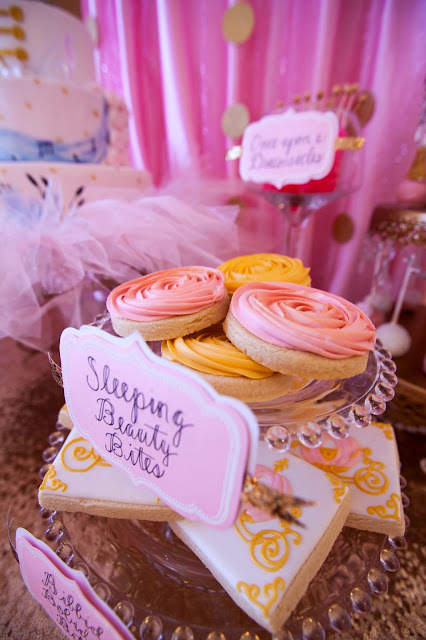 There are currently 4 books in the series; Cinderella, Sleeping Beauty, The Nutcracker and Swan Lake. They are truly a joy to read! 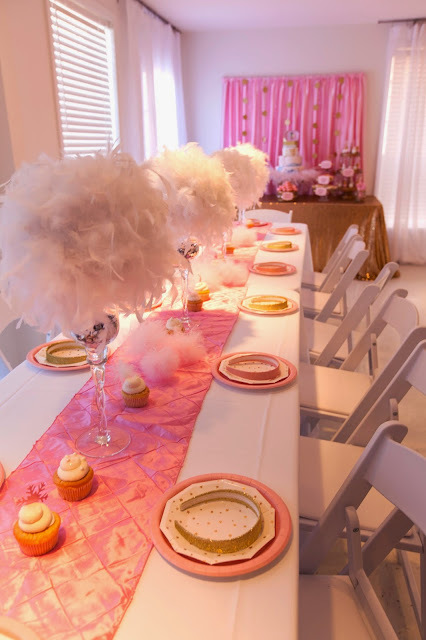 Our client had a vision of using the entire book series in her party theme. 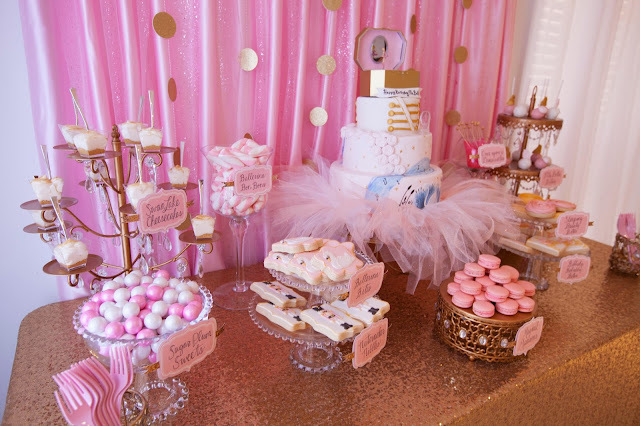 She wanted the party to have an overall ballerina feel, but with touches of each book individually. Using props and themed desserts, a hand painted, hand crafted cake (that is truly one of a kind), and some lovely princesses this book themed party came to life in a magical way! Whatever your theme is, let Royal Flair Events help you create a magical party for your little one's next birthday party! 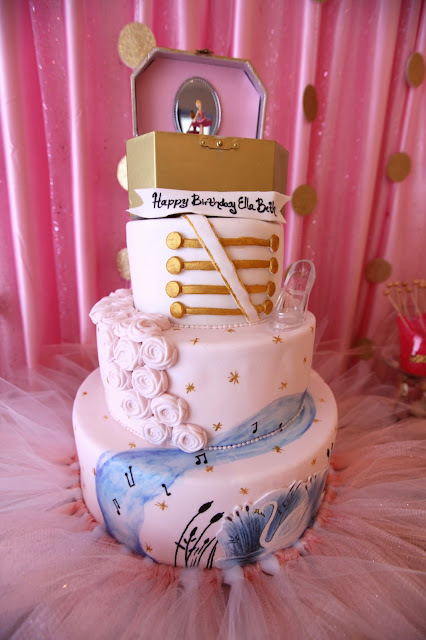 We love to celebrate!